Bundle of (1) PLA “Clearly Awesome” and (1) ABS “Essentials” Mixed Color Packs. PLA “Clearly Awesome” includes 25 sticks of PLA plastic in 5 colors: Crystal Clear, Rose Clear, Glacial Blue, Emerald Green, and Glow Bug-5 sticks of each color. Sticks include a layer of “Glow in the Dark” for nighttime fun. ABS “Essentials” includes 25 sticks of ABS plastic in 5 colors: Yellow, Red, Green, Blue and Black-5 sticks of each color. Compatible for 3Doodler 2.0 and 3Doodler Create (NOT COMPATIBLE WITH 3Doodler START)!Sculpt amazing multi-colored 3D objects. Includes 50 drawing sticks in 10 colors. 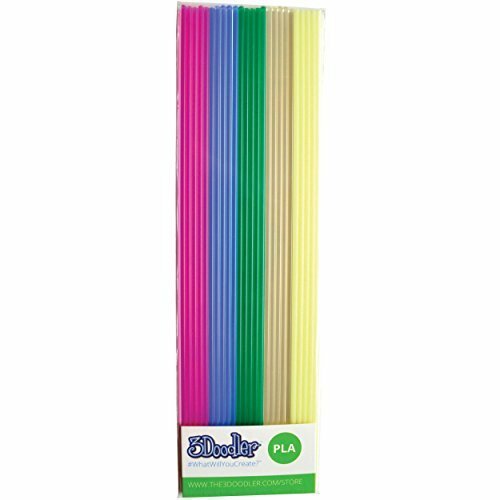 PLA “Clearly Awesome” includes 25 sticks of PLA plastic in 5 colors: Crystal Clear, Rose Clear, Glacial Blue, Emerald Green, and Glow Bug-5 sticks of each color. Sticks include a layer of “Glow in the Dark” for nighttime fun. ABS “Essentials” includes 25 sticks of ABS plastic in 5 colors: Yellow, Red, Green, Blue and Black-5 sticks of each color. Create a multi-colored 3D world. 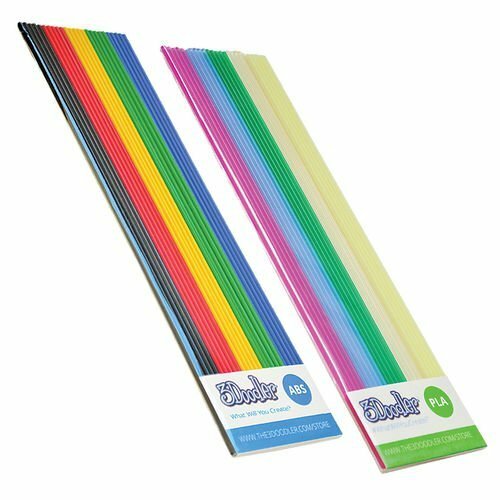 Order your 3Doodler Mixed Color Packs Drawing Sticks Today!